About Kerika’s use by Federal, State, Local agencies. Kanban vs Scrum: what’s the difference, and which should you use? We have a complete (one-hour long) video of the tutorial presented by Arun Kumar, CEO of Kerika, at the recent Lean Transformation Conference on the subject of Kanban vs Scrum: what’s the difference, and which should you use? Photo credits: Abdul-Rasul Kassamali, Jama Abdirahman. Arun Kumar, CEO of Kerika, and Joy Paulus, Senior Policy and Program Manager for the Washington State Office of the CIO, delivered a joint presentation at the Lean Transformation 2016 Conference. 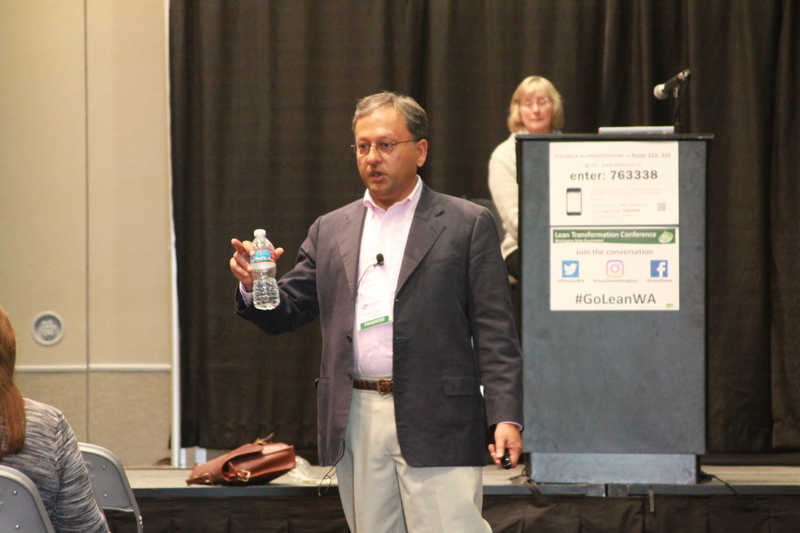 Arun Kumar, Kerika’s CEO, gave a presentation on Visual Workflows at the Lean Transformation 2015 Conference in Tacoma, Washington, which was very well received. Once again Arun Kumar, Kerika’s founder and CEO, will be speaking at the annual Lean Transformation Conference organized by Results Washington. This conference is all about Lean and Agile in the public sector: thousands of folks from state, county and local (city) government agencies will be attending, and as usual Kerika will also have a display booth on the 5th floor of the Tacoma Convention Center. Arun’s topic this year is “Can You See It Now? 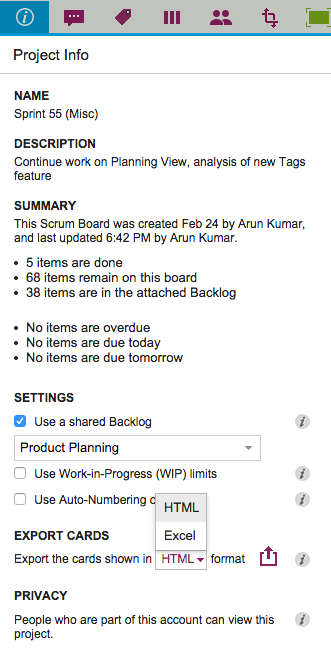 Visualizing your Lean and Agile Workflows”. We look forward to seeing our Washington users at the conference; please do stop by our booth or sign up for Arun’s talk! Roughly 4,000 IT professionals in Washington State. About 80 agencies run their own IT teams. Office of CIO sets strategy and provides oversight. Transform government through technology and culture. Run as a Scrum project, with 1-week Sprints. Successful example of using Lean Startup methodology. Driving the use of Software-as-a-Service (SaaS). Practice and “open office” style. Started in Washington State with Governor Christine Gregoire. All agencies are required to have a Lean focus. Challenge: how to be an “employer of choice” for IT professionals, given stiff competition from Amazon, Microsoft, etc. Several agencies have an active Agile/Scrum practice, but this is still in pockets within state government. Agencies adopting Agile are largely implementing this in a software development context. Developing the Agile QA Scorecard. Developing Agile Procurement for more flexible contracts with vendors. Goal: empower employees to organize themselves. Washington State is first government anywhere to practice holacracy. Washington State is also the first organization anywhere with a represented workforce (i.e. with employee unions) to practice holacracy. Doing an A/B test of holacracy vs. hierarchical organization, in cooperation with Harvard Business School. Hypothesis of A/B test: self-organizing teams will produce better employee outcomes. Measure for a year and see what the results are. Are employees more engaged, with better retention? Are there better customer outcomes, where “customers” are other agencies? Instead of managers, there are roles that are assigned certain accountabilities. Holacracy isn’t about getting buy-in on your ideas from the team. The Scrum roles, e.g. Product Owner, Scrum Master can be added as holacracy roles in a particular circle. As part of his talk on Lean & Agile Government, Michael DeAngelo also reviewed a recent Agile QA audit done for the Washington State Office of the CIO by Joseph Flahiff, CEO of Whitewater. Michael DeAngelo, Deputy CIO for the State of Washington (and a long-time user of Kerika 🙂 gave a talk on Lean & Agile Government in Washington State, at the Beyond Agile meetup in Kirkland last week. We will shortly be uploading another presentation, on Agile QA, as well an edited video of his entire talk. We used to have Export as HTML and Export as CSV as options for our Task Boards and Scrum Boards, and with our latest version we are tweaking the Export as CSV to become Export as Excel instead. We now include chat and document links in the export: this was done specifically to help our many government users who need to respond quickly to Freedom Of Information Act (FOIA) requests. At the Jan 12, 2015 meeting of the Washington State Lean Practitioners Community of Practice meeting, organized by Results Washington at the Department of Labor & Industries in Tumwater, Arun Kumar presented Kanban in a Can: Capture, Visualize and Optimize your Everyday Processes. The meeting was attended by dozens of Lean experts representing a huge variety of state agencies in Washington! If you work for a government agency in the United States – at the Federal, State, or Local level – you are subject to various public disclosure requirements, thanks to the Freedom of Information Act and various other federal and state “Sunshine” laws. Archiving freezes a project, presumably in it’s “done” state: everyone who used to have access to the project still does, but all cards, canvases and documents associated with that project are made read-only. This means that you now have a pretty good record for what a project looked like when it was completed: what work was done, by whom, and which documents were used and what conversations took place. And the kind of integrated, comprehensive view of a done project is something that you can get only from Kerika: the old mix of SharePoint and Project and regular email just doesn’t work! Exporting is the other piece of the disclosure puzzle: with just one mouse click, you can export all (or some) of the cards in a board, in CSV or HTML format. Exporting in HTML is particularly helpful when meeting disclosure requests because the HTML output can be easily edited, using Microsoft Word for example, to take out items that need to be redacted for security or privacy reasons. That’s the difference with a modern project management and team collaboration software like Kerika: the worst part of your government job just became one-click easy.